Many beginner traders find themselves making a big success of trading on a demo account only to find that their prowess disappears once real money is on the line. The main reason for this discrepancy is that traders behave differently when real money is on the line. For example, simulated trades can run at larger losses than would be sustainable for a real money trade. There are also the technical differences between the demo and real money accounts. In real money trading, there is the concept of slippage which means not getting the exact price you want for liquidity reasons. In other words, it's much easier to get ‘filled’ at the price of your choice on a demo account. There are also commissions and fees to factor in. Most importantly, one’s own trading activity does not impact on the market. These factors greatly change the traders perceived ability when moving from demo to live. Fear of losing and preservation of ones ego is on the line. What then is the use of a simulated demo account? 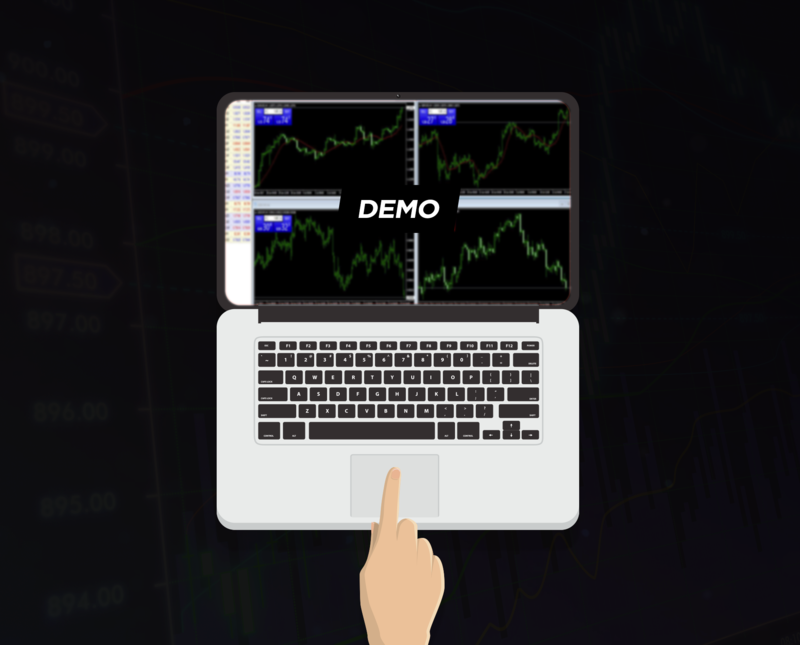 A demo account can be useful to the trader who understands the difference between training a correct mindset and training techniques and strategies. Testing strategies and methods can be useful as it avoids the loss of real money and allows the trader to develop an edge that shows profitability. Less useful is the trader who does not understand that the correct mindset is required before a profitable system can be developed and deployed successfully. This trader is likely to pick up or reinforce bad habits. The use of a demo account or paper trading without adequate risk management by someone else can be of a great detriment as the trader is likely to pick up bad habits such as running losses, over-trading and cutting profits early. The only way a demo account can help train a trader mentally for trading real money is to introduce a concept of cost to paper trading. Put simply, there must be a cost of some sort to making individual trades. This cost does not have to be financial – the real market already charges for training. The type of cost that would be of benefit to the beginner would be a social one. For example, if the trader's demo account trades were actually made public to his peers or to other trainees then he would be forced to take it seriously due to peer group pressure. In this way, he could be forced into trading with a sense of responsibility that is often missing from the demo account. There is also the argument that says one cannot start to learn without actually trading real money. This argument has a lot going for it with regard to developing the mind management skills required. Dealing with fear, anxiety, losses and taking profits correctly. In this instance, the best solution would be to trade the smallest amount possible on a real account and expect to pay a small price for training.